Home TechBuzz Do You Think Mobile Phones Should Be Allowed in Classrooms? 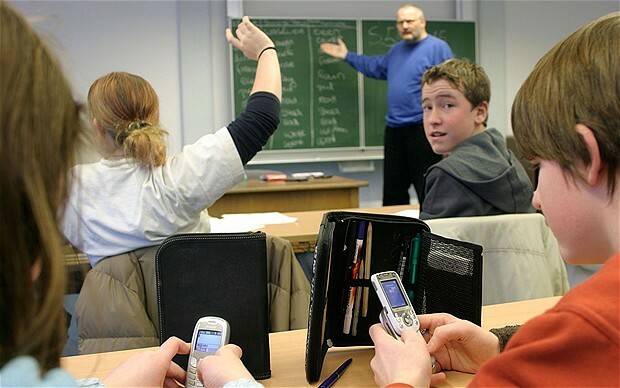 Do You Think Mobile Phones Should Be Allowed in Classrooms? Technology can move very quickly at times. In the last twenty years, we have gone from mobile phones being a novelty to being something necessary. Many students, both children and teenagers, have their own mobile phones. This phenomenon crept up so quickly that it was hard for schools to establish rules for phones. While many times schools started out saying they would not be allowed in the classroom, it was hard to stop that push in technology, and mobile phones are now often overlooked in classrooms. Let me know your opinion in comments below!